Yes, this product is available at many RJS Craft Winemaking retailers. You can find your nearest location here: https://www.rjscraftwinemaking.com/find-your-store/. 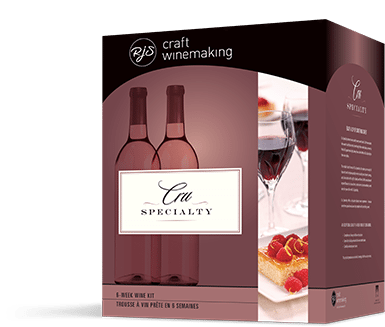 Give the retailer in your area a call and ask them directly if they have that wine in stock or if they can obtain a kit for you to try. Thank you and let us know how your Wine turns out! Can you tell me which yeast comes with this kit? Thanks for your question. The yeast that comes with this kit is EC-1118. If you have any further questions please call our toll-free help line 1-800-663-0954, or email us at rjsinfo@arterracanada.com for assistance.